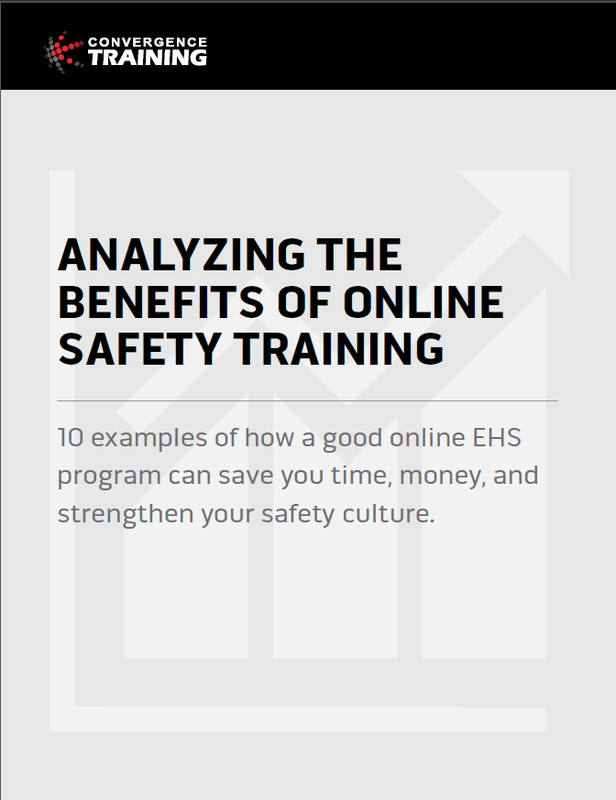 Need to make your safety training more fun? Want to introduce a little game element to your safety meetings? Need a quick and easy way to deliver a quick safety refresher to workers? Or maybe you just want to kill a few minutes testing your own safety knowledge? If so, we’ve got a fun fall prevention training game for you here. It’s kind of like the TV show Wheel of Fortune, except it’s based on fall prevention & protection terms and ideas. You’ll fall for it! Ha! The fall prevention game’s just a little below for you. First, though, a few bits of important info. 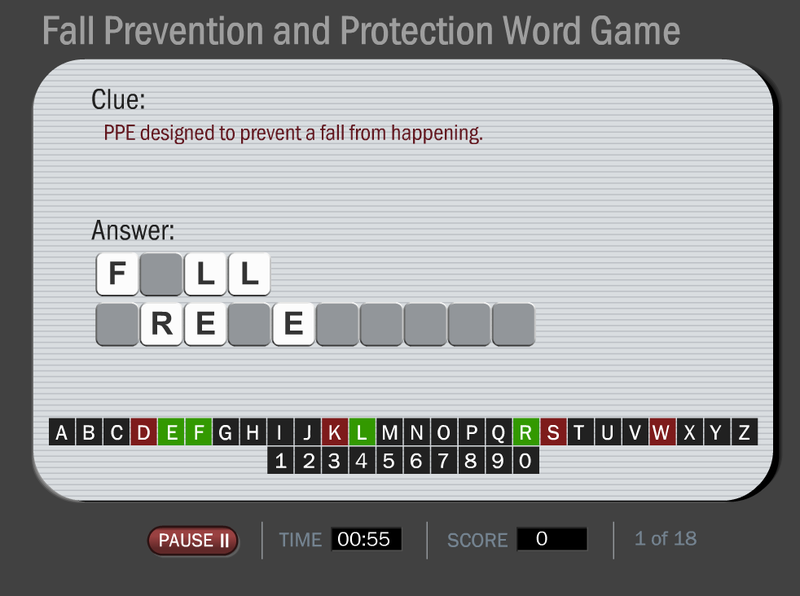 It’s an interactive, online word game based on safety topics about fall prevention & protection. Who wouldn’t like that? The questions come from an Online Fall Protection Training course developed by Convergence Training. 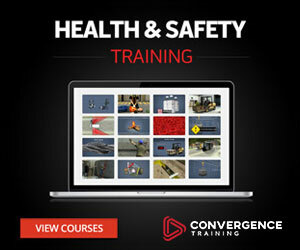 That course is part of the Convergence Training Safety & Health online training library. Click the PLAY button below to see a short sample. 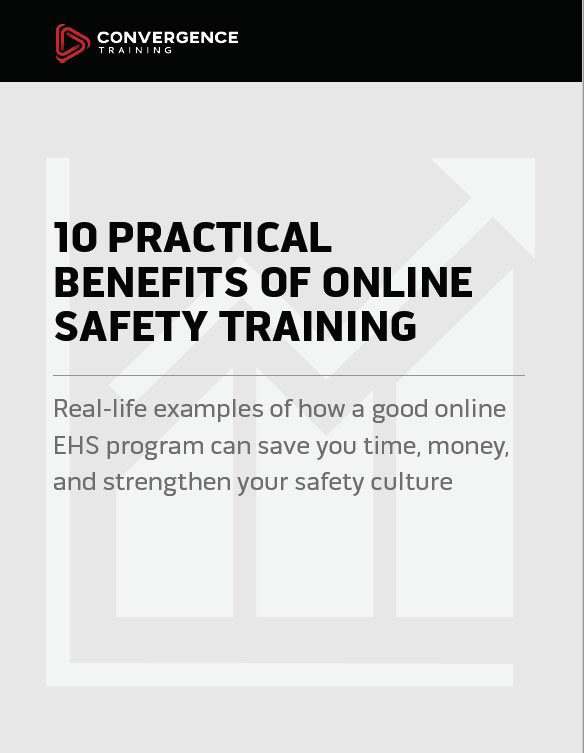 If you like this one, you’ll be happy to hear we’ve got more for you on other safety topics. 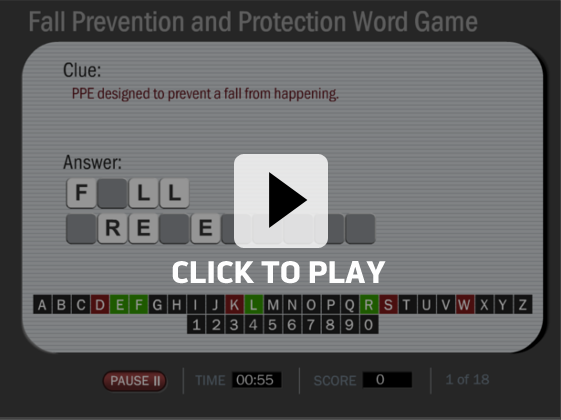 It’s not the fall prevention & protection word game that we made available earlier in a single blog post and that’s also included in our 10 OSHA Word Games pack. That other game is based on terms drawn from the OSHA fall prevention & protection regulation. Both of the fall prevention & protection games are cool, but the questions and answers are different in each one. NOTE: If this game doesn’t display correctly for you, try playing it with the Internet Explorer (IE) web browser. Huzzah! Now We Know Fall Prevention Training CAN Be Fun! How well did you do? Did you have fun? Great! Don’t forget to check out our fall protection training elearning course too. Before you go, you may also want to check out the sample overview video from some of the online courses that Convergence Training makes.